Ayurveda Pura, Greenwich (London) | StyleAble Fashion For Everyone! It had been a long week, so to say that I was looking forward to my massage would be somewhat of an understatement. I had hoped that my sat nav would get me to my destination with ease but be warned, if you don’t know North Greenwich your sat nav may be as confused as you are (the roads are pretty new in that part of London). Despite a longer than expected journey, I was pleasantly surprised by Ayurveda Pura. By Kiesha Meikle. There are two parts to the Ayurveda Pura health spa, including a cafe serving wholesome vegetarian Indian food. Seriously, why don’t all spas serve food? A massage followed by a healthy but delicious Indian meal? Genius. 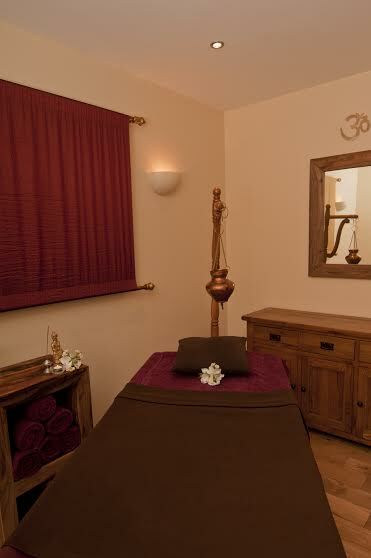 There are also 4 treatment rooms, 2 shower rooms and a yoga studio. The staff are friendly, extremely knowledgeable and ready to answer any question you may have regarding the benefits of Ayurveda medicine. According to Ayurveda Pura, Ayurveda is a holistic health system comprising diet, Yoga, massage, detoxification, herbal remedies, meditation and daily lifestyle. Ayurveda improves not only a person’s health, but also their well being, behaviour and state of mind. Ayurveda is prevention-oriented, free from harmful side-effects and treats the root cause of a disease rather than just the symptoms. Ayurveda also views illness as caused by an imbalance in a person’s physical or mental constitution and therefore seeks to gently bring a person’s body and mind back into a healthy balance. After filling out a form, having my pulse read and tongue checked, my therapist was able to tell me exactly what was causing my sluggishness, headaches and the strange eye twitch I had developed over the last few weeks. “You are not getting enough rest, working too many hours I assume. You’re are also carrying toxins in your body which are mostly in your colon. You have eaten something that has not been easy to digest and you probably need to have more of a routine, ensuring that you eat and sleep at regular times.” Is this woman a mind reader? 10 points for accuracy. Prescribed the Abhyanga massage (£60) – a whole body massage that improves lymph flow, stimulates the immune system and revitalises the entire body – I was asked to strip off and told to don a paper thong. A tad perturbed, I asked if I could keep my bottom cheeks covered with the towel (after all, we had only just met!) thankfully I was told that this would not be a problem. Two minutes into my massage and all thoughts of modesty were replaced with a delicious feeling of complete relaxation. There is something heavenly about having your body massaged with warm oils. What was most surprising was my therapists ability to tackle my knotted muscles despite her slender frame – for someone so elegant she really had arms of steel. My muscles needed and moulded and my skin deeply moisturised with a selection of aromatherapy oils, I felt myself drift off into a deep sleep to the sound of exotic music. This was an experience that was definitely worth the journey. One thing is for sure, if you are feeling stressed, overworked or just not quite yourself a visit to Ayurveda Pura could be the answer. I left feeling balanced and revitalised, ready to face the world again. All treatments use an all-natural and certified organic range, applying the use of modern research whilst remaining faithful to the principles of Ayurveda. Ayurveda Pura offers a wide range of authentic Ayurvedic treatments, including deeply rejuvenating therapies and beauty treatments. Ayurveda Pura Health Spa and Beauty Centre is the winner of the Spa of the Year category in The English Hair and Beauty Awards 2013.